The room was small but perfect, the people who run it are incredibly friendly and welcoming and I would absolutely stay there again. Good cheap place to stay if you need the hotel tonight or just want to save money. Rooms are clean, everything you may need is presented. Good location if you like to stay in town. The receptionist (I forgot his name, sorry) was very helpful and very nice. I recommend this place dearly. Very close to the beach. Very close to Balose Nature and Lagoon. The owner and family of the owner are extremely nice and helpful. We had 5 rooms and all rooms had at least partial ocean view. All the beds were comfortable and everything in working condition. It is about a 5 minutes walk to the town center and 10 minutes to the waterfront with lots of restaurants. View from large balcony very good. Family friendly and helpful. Short walk to main square and tavernas. Yiannis is an excellent host, always asking if there is anything more he can do to help. The view from the balcony is amazing (room 16)! 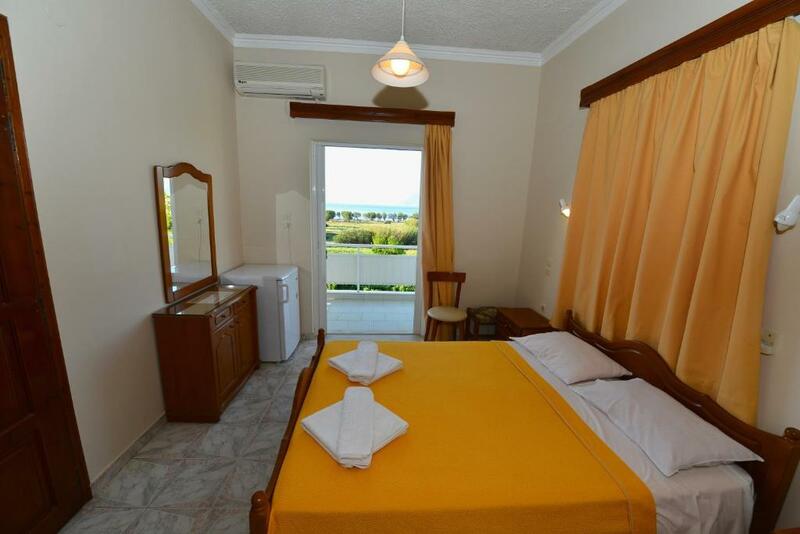 Lock in a great price for Bikakis Family Apartments – rated 8 by recent guests! Beautifully located in Kissamos, west of the city of Chania, Bikakis Family Apartments are just 1,150 feet from the beautiful beach of Kastelli. Free WiFi is available in all areas. Kissamos Archaeological Museum is 1,000 feet away, while the port is at 3.1 mi. 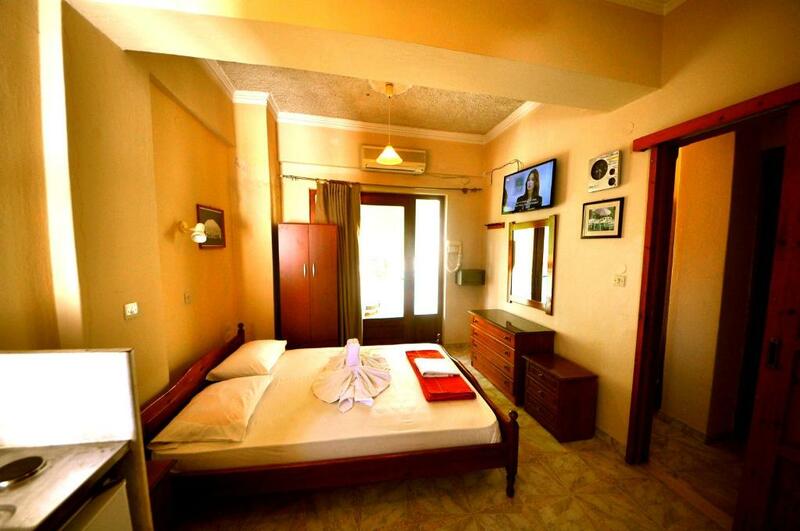 All rooms have a private balcony offering beautiful mountain and partial sea views and feature kitchenette facilities including a mini fridge. A common safe is provided free of charge, while air conditioning is available for an extra charge. A refrigerator is available in every room type. The hotel restaurant enjoys a seafront location. Here, guests can sample characteristic Cretan dishes in a casual setting by the sea. 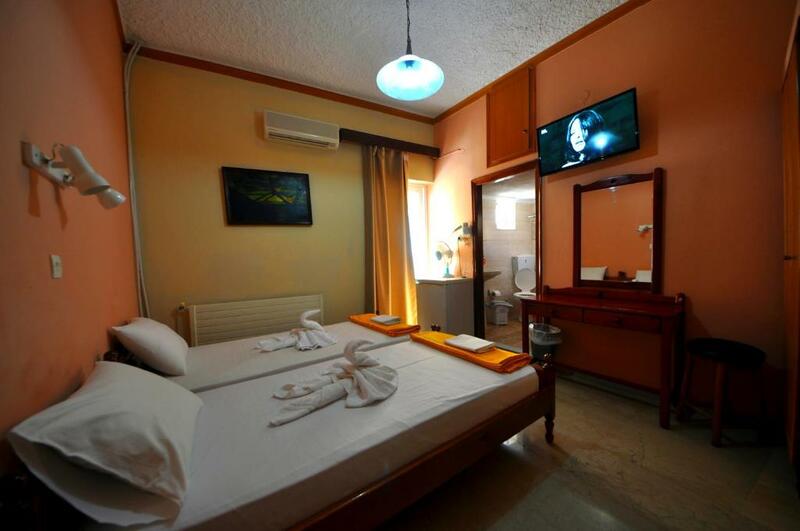 An array of restaurants can be found in the surrounding area and guests of Bikakis Famlly apartments enjoy discounted rates for their meals. A buffet breakfast is served in the property's bar. The area offers visitors many opportunities to visit the western part of Crete. The nearby scenery is also spectacular with mountains, gorges and seaside villages. 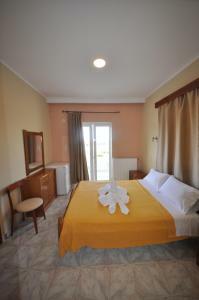 The hotel can make arrangements for cycling tours, trekking and diving activities in Kissamos area. A bus stop and a bank are just 150 feet away, while the local market is 250 feet away. When would you like to stay at Bikakis Family Apartments? This room opens to a private balcony with views of the mountain and the Cretan Sea. Facilities include a mini fridge, coffee maker and hairdryer. Free WiFi and a safety deposit box are provided. Featuring a kitchenette with cooking rings and a mini fridge, this studio opens to a private balcony with views of the mountain and the Cretan Sea. Free WiFi and a safety deposit box are provided. This room opens to a private balcony with views of the mountain. Facilities include a mini fridge, coffee maker and hairdryer. Free WiFi and a safety deposit box are provided. Τhis studio opens to a balcony. It has a kitchenette with mini fridge and a hairdryer. Free WiFi and a safety deposit box are provided. In a beautiful family environment you can really enjoy your vacations either in summer or winter time. 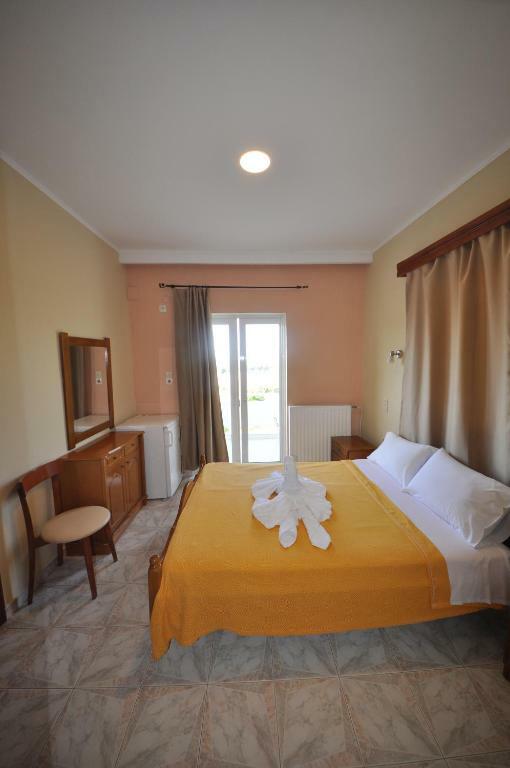 "Family Bikakis" rooms and apartments are located just 250 metres from the beautiful beach of Telonio in Kissamos , they are very equipped with all the necessities that insure a very comfortable stay . 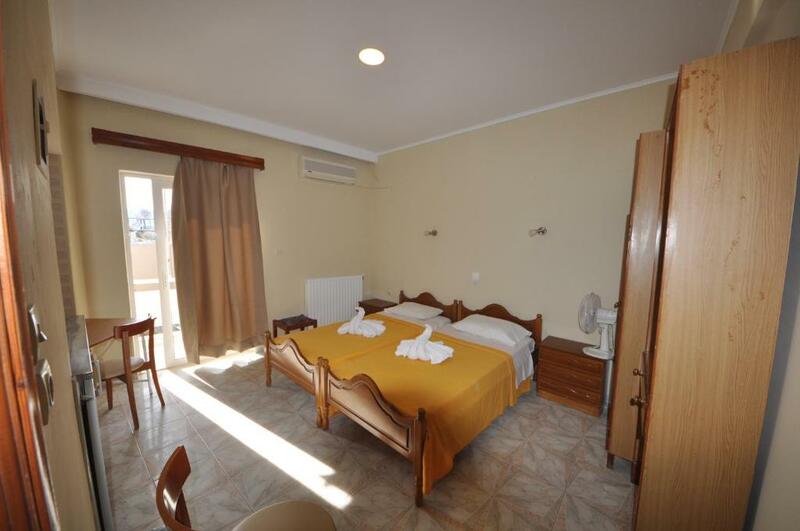 All rooms and apartments have balcony with a very nice view , a mini fridge , electric fan , electric boiler and some of them have air conditioner and there is also central heating for winter time . We offer breakfast in our cafe - TV bar or in your room . While taking your vacation you can visit some of the most interesting and beautiful places in West Crete . Call us for the special prices we have for groups of tourists . Book from us the tickets for the daily cruise to the island of Gramvoussa with the touristic ship Gramvoussa . Crete Bus Service Motofun Autofun bike & car rental With us you will enjoy the well known hospitality of "Family Bikakis" that guarantees your vacation to be one of the most unforgettable . House Rules Bikakis Family Apartments takes special requests – add in the next step! Bikakis Family Apartments accepts these cards and reserves the right to temporarily hold an amount prior to arrival. Please note that the hotel's staff can arrange for car and bicycle rentals. Cars can also be dropped off/picked up from the port/airport. Please note that guests enjoy discounted rates at Aretousa Restaurant. Late check-out is possible and charges are applicable. Please inform Bikakis Family Apartments of your expected arrival time in advance. You can use the Special Requests box when booking, or contact the property directly using the contact details in your confirmation. The location in town ist perfect, the room was propper, all in all we were sadisfied. Lack of parking close by. 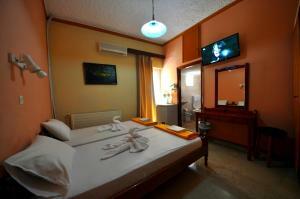 It's a very nice place, the stuff wonderful, very clean and comfortable rooms. The village is really nice and the location of the hotel perfect. I highly recommend it! We have visited it in July. 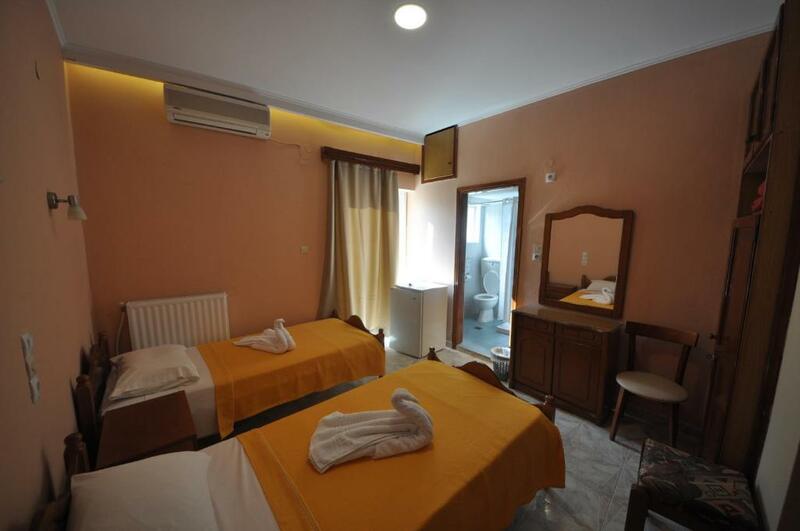 Cute and pacified family hotel (apartments) in Kissamos, small and marvelous village in western Crete. No crowd of tourists, very tasty meals, very kind locals. But the main advantage of Kissamos is the proximity to Elafonisi, Phalasarna and Balos. If you google info about those places you will understand what I am talking about. The administrator which is one of the two owner brothers have kindly met and checked us in despite it was already 0:30. Next day we was offered to move to free room with better view without extra money. Garbage was disposed every day, towels was changed once in two or three days, I don't remeber right. Air condition in the room gave us the comfortable sleep despite of heat outside even at night. Internet connection is good and sustainable and we have downloaded a movie without a problem. Hosts are kind and sensere people with great sence of humor. It was nice to have small talking with them going back from the beach in the evening. In the whole is was platinum combination of price and quality. Th the end we was invited to come back in winter to help gather the olives from the hosts' field. We had some issues with the bathroom lock but they gave us another room, better one. Unfortunately it wasn’t clear in the booking that there was no air-conditioning unit in the room. July in Crete without a/c is not comfortable. Initially also the WiFi was weak/inconsistent but Yiannis immediately bought a new router the following morning. Another issue was there was no hot water one evening and again the following morning. After speaking to Yiannis he fixed that also. We could feel the family athomphere, hosts were amazing. Definitely recommend the place to stay as you can feel and meet the local hospitality. 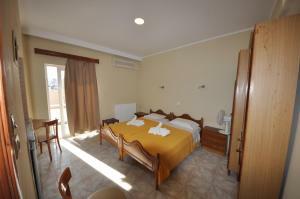 The place is nice and clean in an excelent location, a small and nice town close to beautiful beaches. The family was very nice to us. We had great talks and became friends with them. I would definetely stay here again. Great place for the price. The room was very clean and quite with a nice view. Most of all owners were very friendly and helpful. Highly recomend.